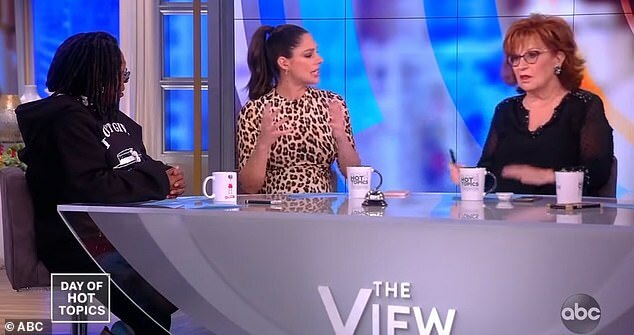 Former Fox News host Abby Huntsman has revealed her shock at Tucker Carlson’s latest rant against women’s rights. 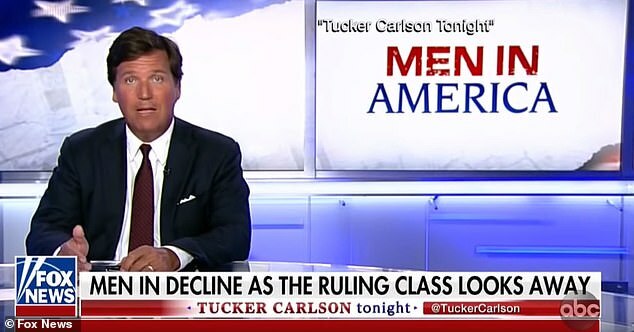 On Wednesday Carlson launched a bizarre rant on his eponymous show saying the American dream is dying because men are in decline. He claimed that because women are getting paid more than men, there are less marriages and more children being born out of wedlock which spirals into increased crime and drug abuse. Huntsman, 32, appeared on The View on Thursday where she was asked about her former co-worker’s rant. She revealed she could barely recognize the Tucker she once knew. ‘I anchored a show with Tucker and this is so different than the Tucker that I know,’ she added, noting the time the two hosted Fox & Friends together. She went on to say that he was actually very supportive of the women in his circle, a sentiment that didn’t quite match up with his speech. ‘Anyone that’s worked closely with him—he was so supportive of my career and wanted me to succeed,’ she said. ‘He’s also a big proponent of marriage and families, that is probably the biggest thing for him, but he was always great to anyone he worked with, people of different backgrounds, immigrants. He loved helping them out. So if you know Tucker personally, you would say he has a heart of gold,’ she added. The View audience roared with applause in agreement with Behar. ‘I’m just saying it goes against the person that I know,’ Huntsman said. 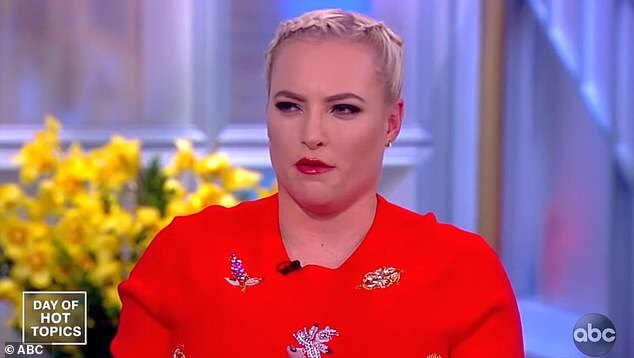 Conservative host Meghan McCain chimed in to say that Carlson’s message was convoluted and confusing but said ‘I will say that it was a pleasure working with Tucker Carlson on my behalf as well’. The two worked together when McCain was at Fox. In his rant Carlson blamed much of American society’s problems on women making more money than men. ‘Study after study has shown that when men make less than women, women generally don’t want to marry them,’ he said. ‘Over big populations this causes a drop in marriage, a spike in out-of-wedlock births and all the familiar disasters that inevitably follow. More drug and alcohol abuse, higher incarceration rates, fewer families formed in the next generation,’ he added. 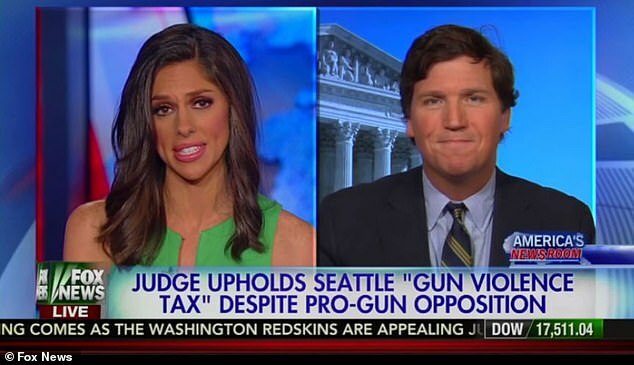 Carlson is no stranger to making controversial comments on his show. In mid-December he said that immigrants made the United States ‘dirtier’ – a comment that sparked outrage online and lost him a number of advertisers.